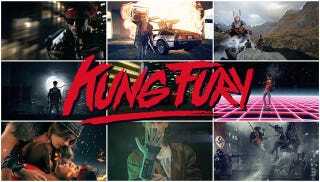 It's a quieter week on the crowdfunding front, but there's one project that looks like particular fun: Kung Fury, a goofball short film inspired by 1980s cop movies, in which a renegade cop travels back in time to kill Hitler, a.k.a. Kung Führer. Kung Fury writer and director David Sandberg has already shot most of the 30-minute film, and you can watch the trailer above. The team is raising money to complete post-production and hire a poster artist. The movie will be released for free online, but if you want to give Sandberg and his team a financial helping hand, they're offering a digital copy of the script for a $10 pledge and a download of the finished film (plus the script) for a $20 pledge.